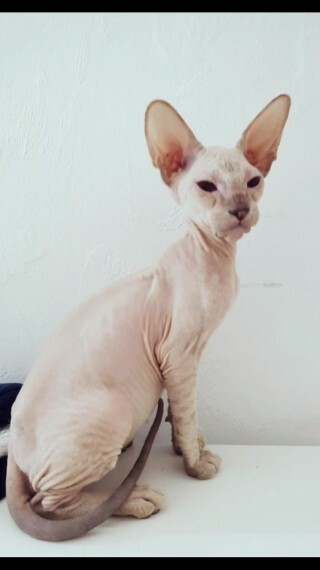 We have amazing Pedigree Oriental Peterbald male coat type. unique playful temperament. very curious. loves company and cuddles. The kitten are vaccinated. dewormed. microchipped . ready to go. Peterbalds are very intelligent and absolutely crave affection. They love finding a warm lap to curl up in or someone to play with. Peterbalds really are a companion cat and will follow you all over the house preferring not to leave your side at any time. More info.